Successful media relations and a sound communication strategy are essential for all sport organizations. Any successful manager working in sport must have a clear understanding of how the media works, as well as the practical skills to manage the communication process. Now in a fully revised and updated second edition, Sport and the Media: Managing the Nexus is still the only textbook to combine in-depth analysis of the rapidly developing sport media industry with a clear and straightforward guide to practical sport media management skills. The book explains the commercial relationships that exist between key media and sport organisations and how to apply a range of tools and strategies to promote the achievements of sport organisations. This updated edition includes a wider range of international examples and cases, as well as four completely new chapters covering new and social media, managing the media at major sports events, the work of the sports journalist, and the role of the sport media manager. The book's online resources have also been updated, with new lecture slides and teaching notes providing a complete package for instructors. 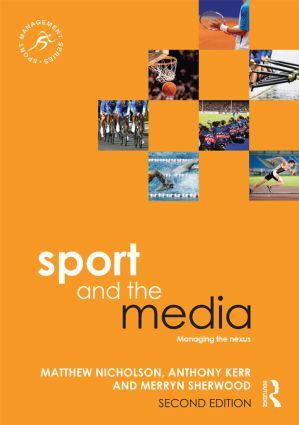 Sport and the Media is an essential textbook for any degree level course on sport and the media, sport media management or sport communication, and invaluable reading for any sport media or sport management practitioner looking to improve their professional skills.